The brain is not the mind. It is probably impossible to look at a map of brain activity and predict or even understand the emotions, reactions, hopes and desires of the mind. While his conclusion may, or may not, be correct, his argument is flawed from top to bottom. Brooks’ argument reflects our current lack of understanding, rather than limitations on eventually reaching goals. For example, he notes that fMRI techniques are imprecise. This is not news, and it doesn’t give us any indication of what will be found with more precise techniques. 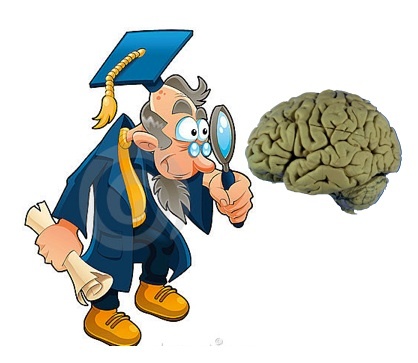 Neuroscientists are uniform in saying that we don’t know much yet. I am not aware of any Neuroscientist saying the task is impossible. A counter-argument goes like this. Can I imagine building and programming a robot that could simulate the behavior that Brooks claims is beyond Neuroscientific understanding? * If I could build this robot, would it be a difficult task to give the robot to an engineer with the problem of “reverse engineering” the robot’s brain and behavior? While I’ve never built a robot, and I’m only a so-so programmer, the task of building this robot to behave as Brooks asks does not seem overwhelming. I can think of algorithms to do each of the impossible things he cites. If this is successfully done, it will be clear that it is possible to build human-like behaviors purely mechanically. The reverse engineering problem may be difficult. But it would be foolish for the engineer to say, “This cannot be done. The robot cannot be understood in purely mechanical terms”. The designer of the brain is evolution. Neuroscientists are trying to reverse engineer the brain. We are at early stages. It is intellectually flabby to say, “this cannot be done”, when we’ve only just started. This argument is roughly the equivalent of 19the century creationist argument that the human eye was too complex and perfect to be the product of evolution. Evolutionary biologists have done the reverse engineering. We now know, step-by-step, how the eye evolved. I am not arguing that Neuroscience will solve the problem of the mind. I’m agnostic. We know too little. The two tremendous hurdles are to understand ‘free will’ and to understand how it feels to be a human (qualia). I don’t know how to build these properties into a robot or how to test for their existence**. But present-day ignorance is not evidence that the task is impossible. Brooks’ argument does not advance the investigation or the discussion. * Note. I am going to give this robot a voice, so it can say things like “I am angry” or “I am tired”. It will be able to perform computations that result in saying these things at particular times; this is no guarantee the robot will feel angry or tired. ** I highly recommend Susan Blackmore’s book, Conversations on Consciousness where she interviews about 20 Neuroscientists and philosophers, asking each about free will and qualia. What’s remarkable is the uniform responses of modesty and confessed ignorance. . This reminds me of Roger Penrose’s “The Emperor’s New Mind” where he imagines debunking cognitive neuroscience by using the argument that it is too simplistic theoretically.and that quantum physics will save the day’ Nevermind that quantum physics is, surely itself, just at the start of it’s journey. I think that at the core of all these nay sayer’s motivation lies something emotional and irrational, something for whom “unweaving the rainbow” (from Richard Dawkins) of the mind has a terrifying aspect. I lost this fear if I ever had it but I know lots of people for who certain mysteries have value and should be preserved. There’s something medieval or more ancient, it’s in the bible; “do not eat from the tree of knowledge!” I guess that if there ever was a reason worth getting evicted from an unchanging, dull realm, it ought to be science! PatientRB. I like your comment. Perhaps I should have added that Brooks’ column asserts dualism. If you start with that assumption, there’s not much more to say. Actually, given that many neuroscientists today are given more to scientism-type pronouncements, it’s arguable that those interviewed for Blackmore’s book are outliers. Actually, I was surprised in Blackmore’s book. Although it’s been awhile since I read it, some of the interviewed included opinionated neuroscience types. i am apt to think Corona does not understand what a description is. Brooks, he, or she, acknowledges is speaking based on today’s knowledge. mmmm. You would rather him talk about the neuroscience of tomorrow? How? on what basis? the great progress of science (scientism)? On your vision of what neuroscience will show tomorrow? Why should we plan today on promises of what will be when there is no clear path into the future? Moreover, what exactly will neuroscience learn tomorrow that will take away your capacity to make meaningful decisions within the structures of your world? (That is an impersonal you.) I think we can safely say the answer is Nothing. If it does, let us speculate, demonstrate that there is no free will, then the people who have power will just continue to do as they want, now maybe with a justification for enslaving those without power (science says they have no moral worth, no capacity to decide). Perhaps some philosophy courses are in order, starting with Aristotle. There is ground for some extrapolation and inference, in a controlled and limited way, using the past to predict the future. It’s imperfect, being based in statistical inference but one can also calculate the standard error. Saying that science will continue progressing is not scientism btw, it’s saying that business will be business as usual. Not unlike Moore’s law it’s extremely robust (but you can imagine doomsday scenarios). Scientism is that philosophy stating that the only valid form of knowledge is scientific, mostly reductionist, that is obtained by separating entities of nature into smaller and smaller components: Matter to molecules to atoms to electrons quarks etc. Reductionism has been extremely successful but Q1 20th century was debunked; There’s more to the universe than that in the quantum realm and in our’s and animal’s cognitive domains. The only way to predict the future is to invent it. I will take any day the side of the ratoid constructors and that of the Robocup: the challenge of building, before 2050 a team of androids that will beat the world soccer champion team. Not because I am certain they will succeed (though really the problem is just an extension of control system theory) but because not doing so is an admission of defeat. Can we prove or disprove our free will? I don’t care at this point, We’re so far removed from being able to state anything about that. Can we construct an android that will at least fool us into thinking it has free will? I would bet on it; there is a precedent already: After playing Deep Blue, Gary Kasparov reported the overwhelming feeling that Deep Blue had genuine free will. As much as I agree with his frustration on the current reductionist approach that the media are taking with some “hot” discoveries (if we can use this word sometimes), I had to write him some questions (I wrote him directly). “How do you know that brain is not the mind?” and “do you mean that some states of the mind my not correspond to states of the brain?” if so, then, where does the brain come from? I didn’t ask him if he read some philosophers of the mind but someone may send him some other books to read. It seems David Brooks has assumed a form of dualism — that understanding the material, physical world will never explains consciousness. That’s a strange place to begin scientific investigation. Brooks relies heavily on Satel and Lilienfeld’s new book. They have article in Salon (Pop Neuroscience is Bunk) where they (correctly) criticize the overselling of Neuroscience, but they are not in line with Brooks. They are not saying that deep questions are unreachable. I admit to being a cynic — somewhat akin to Brooks’ taking about those who “use” their biological neuroscience expertise to parlay such knowledge without taking into consideration the hundred trillion brain function connections that may occur in our daily thinking and behavior. To illustrate, we have introduced a brain-based coping skills for kids as a free Internet education program that grew out of classroom-evaluated experimental sessions teaching 9-12 yr. olds the complex interactions between just three key interconnected brain domains that are likely to be involved when they try to get over feeling stressed or emotionally upset. I suspect neurobiological scientists would pooh-pooh our open-access “self-directed learning” tutorial approach. Over half a million youth, their parents, teachers and student services professionals in 190 countries have now accessed this unique brain-based coping skills approach to learn how to get over common “emotionally wounding experiences”. Who’s to say our functional brain lessons may eventually create additional research on how we can prepare kids with brain-based coping skills information that creates generations of teens who are capable of using this “educational” neuroscience to reduce suicide, depression and even violence — when upset by their life encounters with “emotional pain”? Glad to hear about the success of your program. I certainly don’t poo-poo a program that works. The test of a program — or any therapeutic method — is not the theory its based on but whether it works compared to other methods. My sense is that, in general, Neuroscience is too poorly developed to lead to insights in teaching and learning. You may be mis-reading David Brooks. He is not saying we haven’t gotten very far in Neuroscience. He’s saying that the effort can never answer some fundamental questions. It’s funny how “neurobiological scientists” are considered. Sir, why would we “Poo-poo” on your program? It’s worse that Brooks says. If brain activity doesn’t cover the subjective “mind” we really need ditch physics, biology, evolution, and just about any other science you care to name and come up with somewhere else the mind might actually reside. Maybe 12th century medieval thinking will go better this time than last time. Personally, I’d go with a more nuanced view of the successes, failures, and incompleteness of science. It seems much simpler. Good advice. I agree, especially about physics. Many physicists, neuroscientists and philosophers say to explain the mind we need more than the currently-accepted set of fundamental particles and forces. For information to be real, it must be realized. Current physics can’t do it. They say that but in a way that’s reverse-reductionism. Maybe all the alien quantum phenomena obverved by physicists, teleportation, etc are completely irrelevant to the workings of the brain, after all, and the brain may be in the end just a big, complicated turing machine (not that I really believe that). Quantum physics may be, as far as human experience is concerned, an epiphenomenon. There’s a study I read once and deeply marked me. Unfortunately I don’t have the reference but the message is clear. They ran two neural network simulations having the same connectivity. One was simulating ion channels and a multitude of molecular details, The other was just using intregrate-and-fire neurons that emmitted point processes. The activity of the two nets turned out to be indistinguishable from the point of view of the spike trains. Essentially, maybe even molecular biology is mostly (we know it’s at least a little bit important 😉 epiphenomenal. In computer science that’s called procedural abstraction, a very effective way to reduce complexity. Processes are abstracted so they can be ignored. patientrb, there is one point where I think you’re not correct: the notion that simple neural networks behave in a deterministic fashion. I’m not an expert in the literature, but my understanding is that some of the simplest nervous systems are unpredictable. At the channel level there’s clear evidence of randomness and quantum effects. My guess is that randomness is useful, and biological systems have a method of channeling random factors from micro to macro. Is the realm of quanta really non deterministic? How do you prove that? I obviously know nothing about the subject but I’m not abandoning determinism yet. I’ll be agnostic to the issue. Simple example: radioactive decay. Take a quantity of radioactive isotope of x amt of atoms, each with a particular half-life. The likelihood that a given particle will decay before half life is exactly 0.5. No known factors can outguess the system. Put a geiger counter near a nugget of this material. Based on number of atoms and relation of geiger counter collector to the nugget, detects (clicks) will be heard in a “random” pattern that is a poisson process with a certain mean. If you hear a detection, the likelihood that the next detection is at a time that smaller than the mean is 0.5 and higher than the mean is 0.5. Thus we have both a random effect and a random effect that is readily observed at the macro level. If you make a decision to go right or left based on a geiger counter readout, randomness has entered your life and the future of the universe will take a different course. After some readings I found that there are plenty of physicists who support determinism at the quantum level. There is a variety of particles that travel space at or near the speed of light. Most pass through the Earth since matter is mostly void but some collisions may have been detected as a waveform on seismographs and the point of entry, exit and the delay between the two can be inferred though technical problems have beset thorough study and similar strange event are super rare. Those would be “strangelet” impacts, of a particle having a mass multiple of the quark’s. Those are “macro” particles and the theory predicts that they should be well detectable should they happen again. Particle at or below the mass of strangelets, like the neutrino, are theorized to be dispersed heterogeneously in space and the odd detection of putative neutrino collisions in heavy water tanks deep underground certainly don’t point to regularity. Nobody knows what effect particles passing by or colliding with quanta has. The frequency and density of such events is unknown to us. the unpredictability at the quantum level my be their effect. Caveat emptor! I don’t know how much hand waving is involved in this, but It certainly is interesting. The physics you cite is interesting, but way beyond my capacity to argue for or against. One comment though: there are at least a few, perhaps many, biologists who think that brains evolved to capture and use randomness, rather than avoid it. I’m in that camp (without a lot of data). Count me as someone who knows a bit of neuroscience, and believes that the entire enterprise of reverse engineering the human brain will not give you any ability to do mind-reading of any particular mind. Even if it were magically possible to model every receptor and every ion channel of every neuron, and you could run the model and prove that it functioned correctly by observing its behavior (this would be massively unethical, of course — murderous, so to speak — if you ever turned the model off after starting it for the first time), but you would still not understand how the modeled brain’s mind arose from the functioning of the model. This is because, among other things, we are the sum of our experiences and of our memories of our interpretations of our experiences, and the neural effects o these experiences are embedded into the brain in a distributed, “holographic” way that is not localized in any particular piece of tissue or small number of pieces of tissue. Unlike invertebrate brains, vertebrate brains are organized so that the connections between one part and another part is described by a mathematical operation called “convolution” that can be reversed only by the same specific brain that created those connections in the first place. An other person may be able to achieve a somewhat accurate representation of one’s brain over the course of a lifetime of spousal intimacy, but a researcher in a lab in a few hours or even weeks? Even with the aid of giant magnets and superconducting quantum interference detectors, Forget it. type 1 Put a naive person into a scanner and see what he or she is thinking. type 2 Put a naive person in a scanner. Calibrate the scanner to this person by asking the person to think on subjects x, y and z. Now take a scanner snap-shot of the brain and try to predict what the person is thinking. I’d argue that type 1 mind reading is almost impossible, while type 2 is fairly easy. Initial steps towards type 2 are ongoing. But type 2 is fundamentally uninteresting. It doesn’t relate to an understanding brain processing; its just a matching problem. A positive result from type 2 only shows that brain activity correlates with mental activity, something we know from lesion and stimulation studies. Interestingly, Brooks doesn’t distinguish between type 1 and type 2; his prediction will almost certainly prove to be wrong if we permit type 2 procedures. I’m not as taken with the “holograph” analogy. Yes, lots of the engram is distributed; that does not make it holographic. My guess is that understanding the global representation will require understanding local regions, where neurons are densely interconnected, and understanding the relatively weak interconnections among these regions. A “small world” network approach. it is NOT true that connections among neurons are random. Neurons strongly prefer local connections. Are you referring to the famous “qualias”? You know, what I see is red, I say it’s red, you say it’s red, but there is no proof that what you see (experience) is the same than what I see. People talk about the “qualitative experience”. THis is the failure of cognitive neuroscience: We could describe the pain circuits as much as we can, we always fail to explain, share, determine the experience of pain. If I tell you I am in pain, how can you know I am not lying? Same thing for echolocation for the bats or dolphins. we have no Idea about how it might “feel” like. Here, I agree, we are far from knowing anything. Pierre-Pascal. No, I wasn’t referring to qualia. Since decoding is a matching problem, I’m not sure qualia makes it more difficult. You can match to things you don’t understand. This is what made so much noise about 15 years ago when David Chalmers spoke of the hard and easy problems of figuring out the mind and brain. The hard problem, perhaps impossible, is to fully characterize qualiae. The easy proven is akin to type 2 and type 1 is the completely impossible problem, a priori, because you can’t infer mental states without a model because they are “intentional” following Daniel C, Dennett’s terminology, meaning that they are about something and maybe represent something (different between “point to” and “describe or depict”), thus information about that something must be gotten, upon which mind reading problem type 1 turns into mind reading problem type 2. Humans are all very alike and although there may be kinds of slightly different styles that cluster (just complicating matters) we may probably in the future build a statistical model of the generic human brain that would enable a lot of inference even from a random person scanned, hopefully with better technology than we have now.Totally knowing all a person’s mental state is limited by what model.